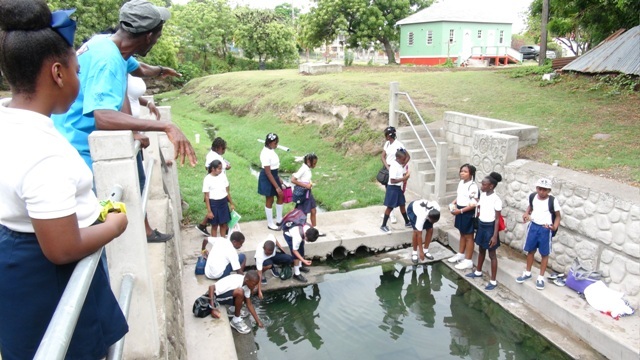 NIA CHARLESTOWN (APRIL 21, 2016) — A group of students from the Nevis Academy were among five other primary school students participating in the “Walking Tour of Charming Charlestown” on April 18, 2016. The event forms part of a month of ongoing activities for Tourism Month. This year it is dubbed “Exposition Nevis” and activities commenced on April 13 and will concluded on May 28. 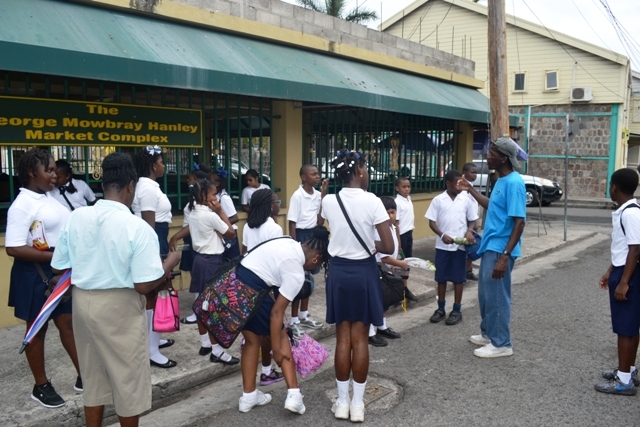 The Department of Information accompanied students and teachers of the Nevis Academy on their tour with tour guide Lemuel Pemberton, who volunteered to impart his knowledge to them. On the tour their first stop was at Government House which was built around 1909 followed by the Police Barracks which was constructed in the 1970’s to house the St. Kitts-Nevis Anguilla Defence Force. The group then moved to the Bath Hotel and Bath House, which are reputed to be the oldest in the Caribbean and were constructed in 1778. They also visited Fort Charles, which was constructed in 1628 to protect the port of Charlestown. They then walked to Gallows Bay, known as a site where pirates were hung. Following their walk across the beach they ended up at the George Mowbray Market Complex which was used during slavery to sell slaves. They then visited the War Memorial in the heart of Charlestown and the Jewish Cemetery which still has graves of the island’s early settlers dated 1679. 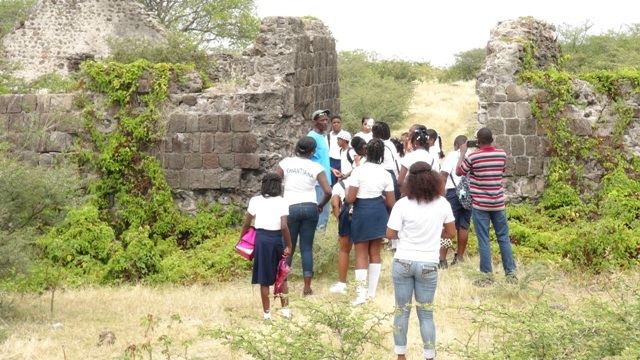 Tourism Education Officer Dorson Ottley who was also on the tour, said the month of activities was designed to promote tourism awareness particularly among the island’s students who would be able to inform visitors to the island of its history, flora and fauna.